We have yet to see snow this season, but that doesn’t stop my kids from dreaming about building their first snowman of the year. To capitalize on the anticipation, I created the snowmen counting book for the kids. This free winter printable book helps new readers recognize number words. The snowmen counting book provides great reading practice to young readers. The text is repetitive with just the number word changing on each page. It is also interactive. On each page, kids can add the correct number of snowflakes to each scene. Here are a few snowflake ideas. Use white cubes or snowflake stickers to place above the snowmen. Draw and color the snowflakes on each scene. One page allows the child to draw their own snowman details and add more snowflakes. The last page provides one more opportunity to practice counting from 1-5. Kids can count the snowmen in each row. So, it’s time to print the book and have some snowmen literacy fun! 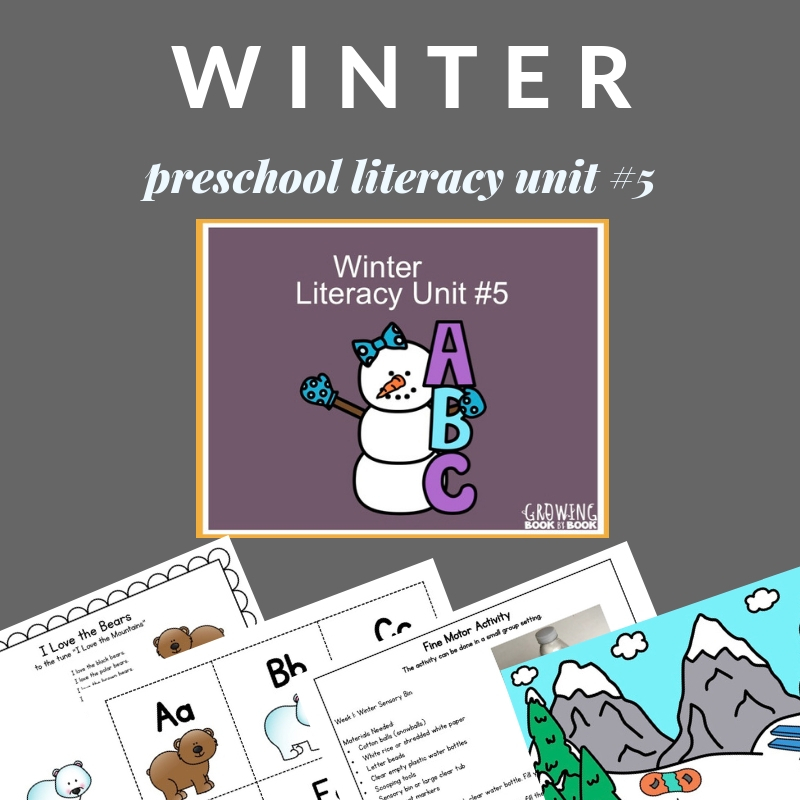 Also, check out our Winter Preschool Literacy Unit. It’s that time of year to prepare for pre-k graduation, and I’m trying to find a good end of journey book to gift and have read at graduation. do you have any suggestions? Some titles used in the past were; I Wish you more, oh the places you’ll go, etc. Yes, if you search graduation books in the search bar you will find a whole book list. Enjoy!